Faith In Jesus | CAN YOU HEAR ME NOW! I hope this can put your minds at ease…we are forgiven by Jesus – that is why He sacrificed Himself so we could be a Pure Bride – even though we live in a world of sin and our flesh is sinful. This is why He came so He could forgive us in our walk because He knew we could not do it alone! Through His Word, His Forgiveness, His Grace and His Blood Covering, The Father in Heaven cannot see or nor will remember our sins – that is why we must ask Jesus to carry us, forgive us and pray for His Holy Spirit upon us so we can stay under the Umbrella of Grace. I know it’s a tad confusing, but it’s really not. We have a outer coat around us, our flesh and that flesh within that, is our spirit. Our spirit is the “Good Decision Maker” while the body of flesh, is the “Bad Decision Maker” and if looking at it this way, what part is more likely to touch a burning stove before the one further away has a chance to pull back? (Meaning the spirit inside – flesh outside – flesh reacts sometimes a tad too quick for the spirit to grab it’s hand back.) The flesh, it’s closer in distance to the stove, but, if the spirit can be constantly sitting high on lookout so-to-speak as a good babysitter should, it warns the flesh of the danger in doing something such as this…it will burn and hurt and hopefully, the flesh will listen, stop and turn away from that tempting touch and remember the wisdom of the spirit in the future. Or you can look at it this way – the flesh is the dog that still thinks it can cross the street without getting hit. Our spirit is the kind dog owner that no matter how much her pet barks and cries to do it alone, she tenderly puts a leash on him so he can walk there safely, securely and land at their final destination a bit more calm and wiser, also wagging their tail in pride that they stayed on the sidewalk, not getting lost, in trouble and for all that obedience, they get a great big doggy-bone reward upon returning home! Yesterday I posted a 3-part video but what I forgot to add under those video links, were the Scriptures that was given to me…my bad! So, please accept my apology in my anxiousness to post and enjoy the perfect messages below that truly correspond with what we have been learning and talking about. Again, thought I was going to fall off my chair when I looked these up and read them all…they are all just so “right on” but again, why should that be so surprising – He is always guiding, leading and placing those Heavenly Breadcrumbs right before us, is He not? 24 After he was weaned, she took the boy with her, young as he was, along with a three-year-old bull,[e] an ephah[f] of flour and a skin of wine, and brought him to the house of the Lord at Shiloh. 25 When the bull had been sacrificed, they brought the boy to Eli,26 and she said to him, “Pardon me, my lord. As surely as you live, I am the woman who stood here beside you praying to the Lord. 27 I prayed for this child, and the Lord has granted me what I asked of him. 28 So now I give him to the Lord. For his whole life he will be given over to the Lord.” And he worshiped the Lord there. 4 As a prisoner for the Lord, then, I urge you to live a life worthy of the calling you have received. 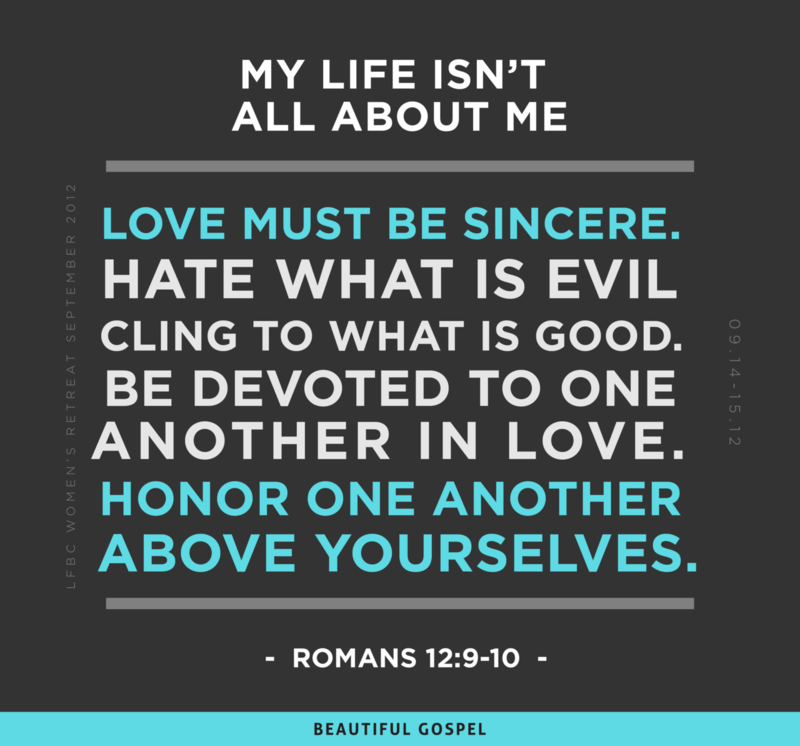 2 Be completely humble and gentle; be patient, bearing with one another in love. 3 Make every effort to keep the unity of the Spirit through the bond of peace.4 There is one body and one Spirit, just as you were called to one hope when you were called; 5 one Lord, one faith, one baptism; 6 one God and Father of all, who is over all and through all and in all. 17 So I tell you this, and insist on it in the Lord, that you must no longer live as the Gentiles do, in the futility of their thinking. 18 They are darkened in their understanding and separated from the life of God because of the ignorance that is in them due to the hardening of their hearts. 19 Having lost all sensitivity, they have given themselves overto sensuality so as to indulge in every kind of impurity, and they are full of greed. 5 Those who live according to the flesh have their minds set on what the flesh desires;but those who live in accordance with the Spirit have their minds set on what the Spirit desires. 6 The mind governed by the flesh is death, but the mind governed by the Spirit is life and peace. 7 The mind governed by the flesh is hostile to God; it does not submit to God’s law, nor can it do so. 8 Those who are in the realm of the flesh cannot please God. 9 You, however, are not in the realm of the flesh but are in the realm of the Spirit, if indeed the Spirit of God lives in you. And if anyone does not have the Spirit of Christ,they do not belong to Christ. 10 But if Christ is in you, then even though your body is subject to death because of sin, the Spirit gives life[d] because of righteousness. 11 And if the Spirit of him who raised Jesus from the dead is living in you, he who raised Christ from the dead will also give life to your mortal bodies because of[e] his Spirit who lives in you. 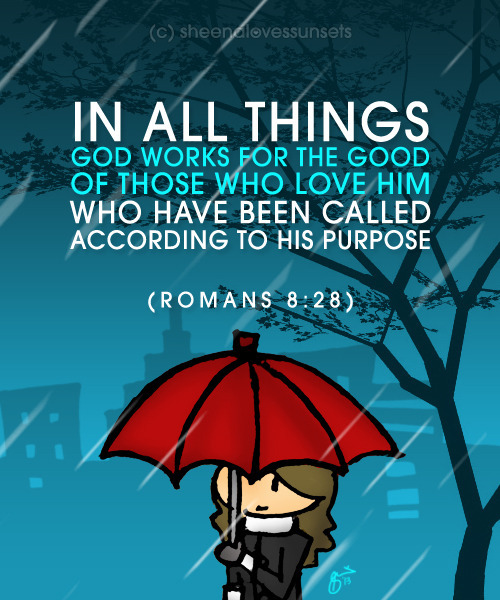 28 And we know that in all things God works for the good of those who love him, who[i]have been called according to his purpose. 29 For those God foreknew he also predestinedto be conformed to the image of his Son, that he might be the firstborn among many brothers and sisters. 30 And those he predestined, he also called; those he called, he also justified; those he justified, he also glorified. 3 For by the grace given me I say to every one of you: Do not think of yourself more highly than you ought, but rather think of yourself with sober judgment, in accordance with the faith God has distributed to each of you. 4 For just as each of us has one body with many members, and these members do not all have the same function, 5 so in Christ we, though many, form one body, and each member belongs to all the others.6 We have different gifts, according to the grace given to each of us. If your gift is prophesying, then prophesy in accordance with your[a] faith; 7 if it is serving, then serve; if it is teaching, then teach; 8 if it is to encourage, then give encouragement; if it is giving, then give generously; if it is to lead,[b] do it diligently; if it is to show mercy, do it cheerfully. 17 But, dear friends, remember what the apostles of our Lord Jesus Christ foretold.18 They said to you, “In the last times there will be scoffers who will follow their own ungodly desires.” 19 These are the people who divide you, who follow mere natural instincts and do not have the Spirit. Why Does The Lord Give & Take Away Jobs/Cars/Homes? Born Special w/Afflictions Why From Birth?